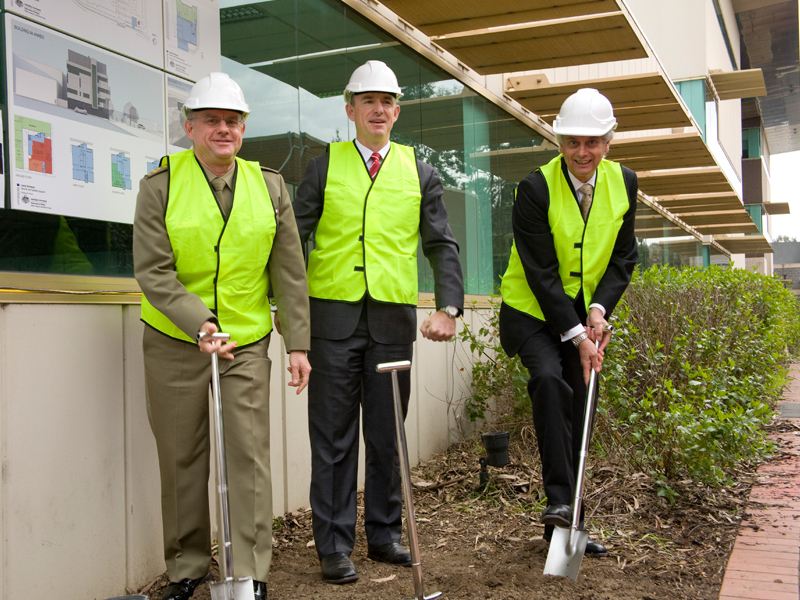 Assistant Minister for Defence, Stuart Robert (centre) with Brigadier Darren Naumann and Dr Simon Oldfield during the sod turning ceremony at Fishermans Bend. The DSTO laboratory at Fishermans Bend in Melbourne will get a $41 million upgrade, the Assistant Minister for Defence, Stuart Robert, announced today. He turned the first sod signaling the start of construction on the site. The Fishermans Bend site is the oldest defence science laboratory in Australia, having opened its doors 75 years ago in August 1939. The new, purpose-built facilities will enable DSTO to better meet the growing needs of Defence for scientific support, particularly for research into defence against chemical, biological and radiological threats. The works are expected to be completed in 2016.